The 70's were everything in fashion last year, but this year, it looks like the 90's have started moving in. Many of you were only kids in the 90's and some of us were already adults, but regardless of our age right now, I think we all can benefit from a touch of nineties. Today, I'm wearing a windbreaker that I found at my favorite vintage shop in town hanging on a men's clothing rack. 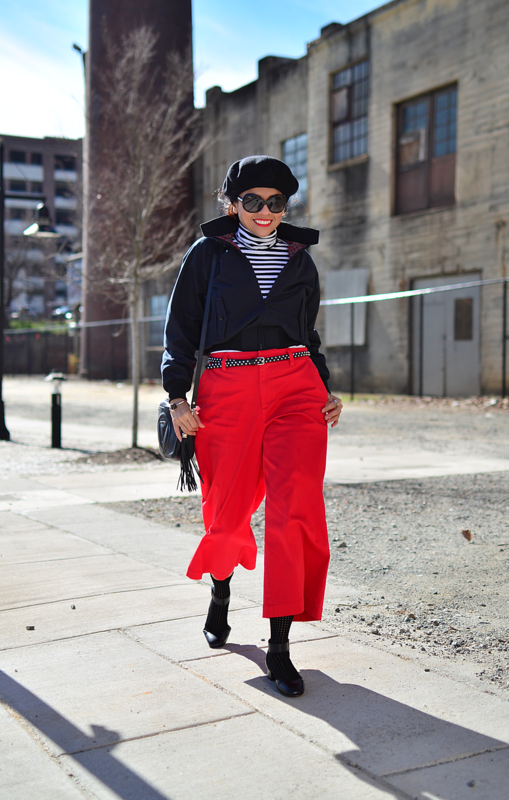 Since the jacket is cropped style, I thought it would look cute with high-rise pants like these red wide-legs. I wanted to show off the Mary Janes again, but this time instead of wearing them with sparkly socks, I opted for airtex stitch style. Turtleneck: Target (old). Similar here. 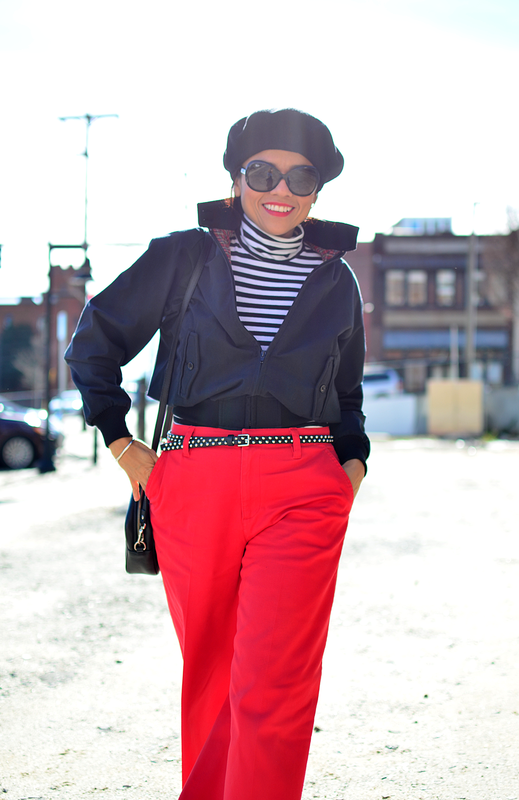 Pants: Kate Spade Saturday. See Forever21 version. Hat: Vintage. 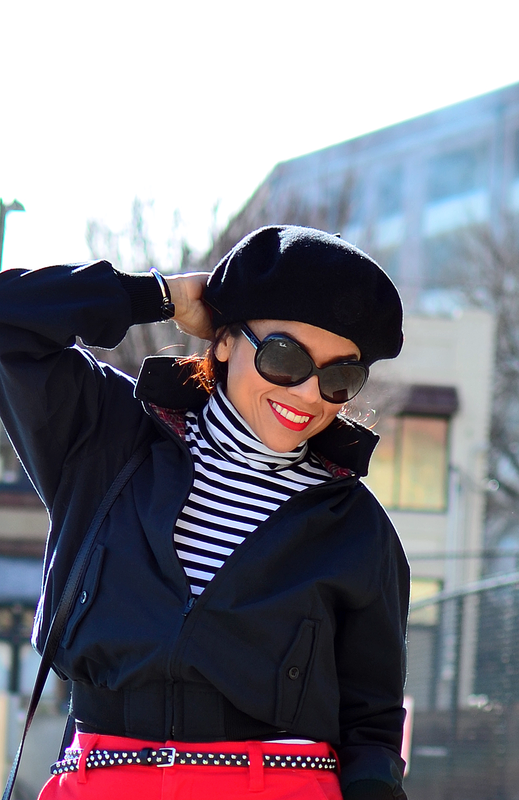 See more berets in all colors here. Shoes: Marni. Available on sale here .